Welcome to OUR OCEAN SPACE, a web-based network for exchange of projects, art, audio-visual presentations, and other imaginative formats, created and uploaded by young Citizens of the Ocean to share with their counterparts worldwide. 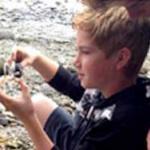 Teachers and students are invited to share their ocean-related projects with other classrooms, linking together young people through their understanding and interpretation of ocean systems. Create and account/log in to submit projects and presentations in PowerPoint format, upload images to photo galleries, and link to video projects on YouTube. Each project will be marked as a DRAFT and will be posted to the site once it is reviewed by the W2O Editor for appropriate content. It is the responsibility of those submitting material to address copyright clearance for photographs, music, and other literary and graphic materials. Would you like to contribute to our growing community of projects? 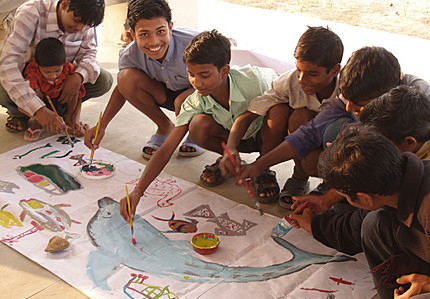 Once you have an account with World Ocean Observatory, you can then add as many ocean-related projects as you'd like. 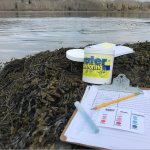 During April and May of 2018, the 8th graders of BHCS tested the water quality of three different sites on the Bagaduce Watershed in downeast Maine. On April 30 the class tested the water of Snow Natural Area. On May 1 they visited Ferry Landing and on May 9 they water tested at Sherm Perkins Memorial Park. At each of these sites they conducted 8 different water tests: temperature; dissolved oxygen; coliform bacteria; biochemical oxygen demand; pH; turbidity; phosphate; and nitrate. 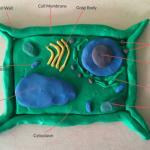 Cells are the building blocks of all living things. This short study outlines the basis of cells, the purpose of chromosomes, DNA, the osmosis that occurs in cells, and the differences between eukaryotes and prokaryotes. 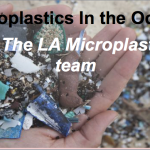 The purpose of the microplastics collaboration between high school students in Japan and the United States is to collect current data on microplastics in surrounding waterways, ocean and beaches. This includes areas surrounding Los Angeles. To present the findings at science conferences and students, science fairs, and propose solutions. Did you know that Earth’s oceans are becoming more acidic? Students at Blue Hill Consolidated School in Blue Hill, Maine have been exploring this topic with their science teacher, Nell Herrmann. 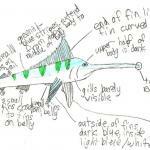 Marine Biology/Science/Oceanography and Evolution Resources 1. 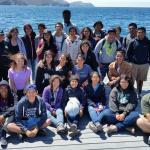 Castro & Huber “Marine Biology” textbook-linked materials and PowerPoints, labs, games, readings, student work, assessments; a 1 year course for advanced HS students (seniors) & college students. What’s 26,000 miles long, weighs 237,000 pounds, is totally invisible to man, and yet more permanent than the Great Wall of China? The Tethys Project. The environment and our planet’s fragile eco-system, is continually under attack from man. The world is presently experiencing considerable changes in climatic behavior and yet there seems no end to the route of destruction that man has chosen. Of great concern is the continual exploitation and pollution of our oceans- attributed directly to Man’s ignorance of the oceans! We have more knowledge about outer space than our oceans! 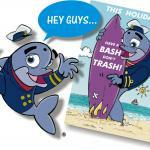 OCEAN and YOU provides models of 100 or so different marine animals, & coloring sheets to match. 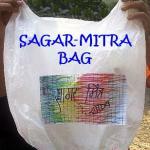 There are many examples here of youngsters' creative imaginations at work. 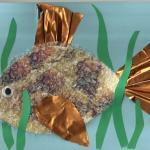 The last two slides of this ppt include two fun marine collage ideas for K-4 students.